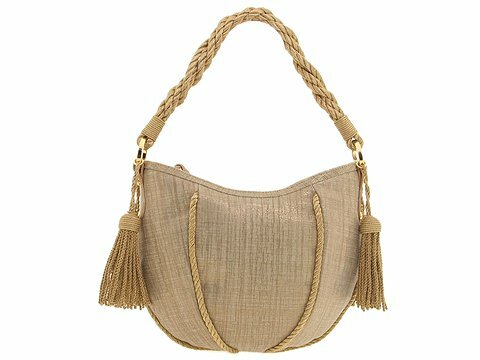 A. Testoni merged old-world elegance with uptown-style to create this chic hobo. Made of lush leather. Holds your wallet, keys, sunglasses, lipstick and personal technology. Dimensions: 5 wide across the bottom, 10 wide across the top x 2 deep x 6 3/4 high. ; Single braided shoulder strap. Shoulder drop: 8 length. Protective dust bag included. Tassel accents. Top zip closure. Fabric interior lining with a back wall zip pocket and multifunctional slip pockets. Made in Italy.